“Okinawa Soba” has been the soul food of Okinawan locals for a long time. When locals say “soba” (or suba), they are talking about “Okinawa Soba” (thick noodles served in a pork soup). Locals eat Okinawa soba 2-3 times a week, but frankly speaking, Okinawa soba is not soba. 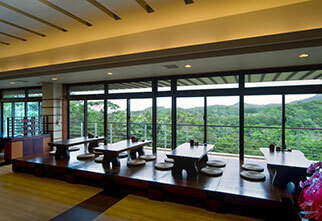 Soba is typically made from buckwheat flour, but Okinawa soba is made from wheat flour and salt. Lye water is used to produce the firmness and chewiness of soba noodles. 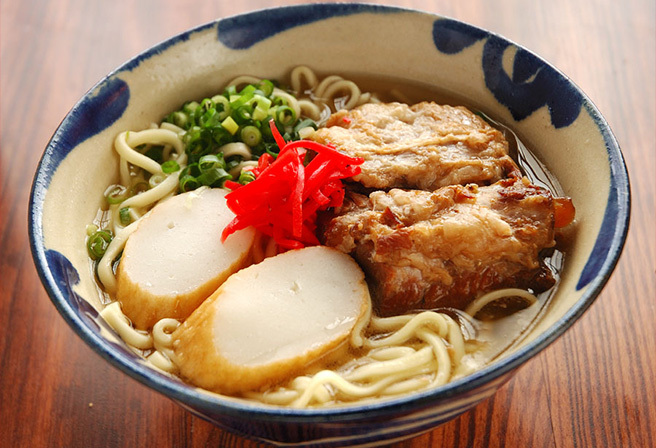 According to one theory, Okinawa soba was brought to Okinawa from China as a feast for the Ryukyuan royal family during the Dynastic period about a century ago. So, what was eaten as Chinese noodles back then went through numerous improvements and ended up as an original Okinawan cuisine. The soup base is made from pork bone and bonito, with toppings such as boiled fish paste, chopped green onions, and red pickled ginger. It is said that this original style came to be after the war. Two popular sobas are soki soba and san-mai niku soba. Soki soba is topped with pork spare ribs and san-mai niku soba is topped with pork belly. There are many more varieties based on the area and the restaurant. Some sobas are topped with rafute (Okinawan-style stewed pork ribs) and some are topped with nakami (pig intestines). 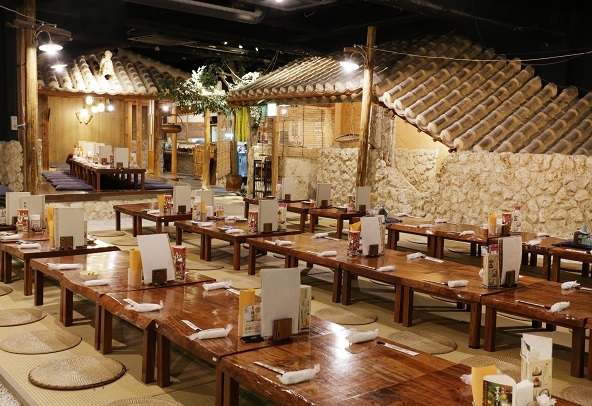 There are many restaurants that serve soba in Okinawa and we recommend comparing the taste of different soba during your stay. You will definitely fall for the taste of Okinawa soba. South The pond laid over 50 years ago, the serene sound the small waterfalls creates enhance your okinawa dining experience. 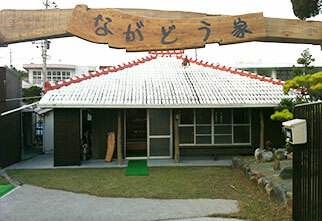 From okinawa soba and tofu skin soup to local beef steak can be enjoyed at the 60 year old house. North If you have wondered what Okinawan people commonly eat for longevity and you’d like to try some out, this is exactly where to go. From standard Okinawa soba noodles with various toppings on top, local fried fish, goya champloo and peanut tofu to healthy seaweed dish and sliced raw octopus can be enjoyed along with our wide selection of drinks. 10 minutes away from the airport. 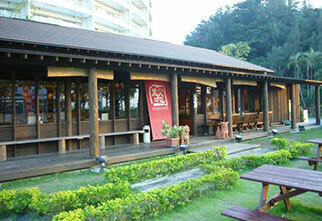 Straight to Naha city’s one and only “Nami-no-ue Beach”!